Start-ups are innovative, quick to adapt and highly connected to their customers. Large corporations boast economies of scale, networks and infrastructure that entrepreneurs envy. How can companies of all sizes learn from and support each other to create an inclusive and diverse global economy in which everyone can thrive? The mobility of talent across borders and even organisations is proving to be transformational in helping to shape ideas in a world that is more connected yet facing increasing divides. Africa is already proving that cross-border mobility and collaboration can provide enormous opportunities for local communities in a global economy where large, multinational corporations often wield greater influence but in which entrepreneurs and change-makers have the potential to create huge value for society. The Expo 2020 Dubai World Majlis initiative held its latest session in Kigali, Rwanda to discuss the exchange-value between large global companies and smaller enterprises. A formal and inclusive gathering, the World Majlis brought together current and aspiring thought leaders from across Africa and the UAE at the Kigali Public Library, Innovation Village, Kigali, Rwanda. 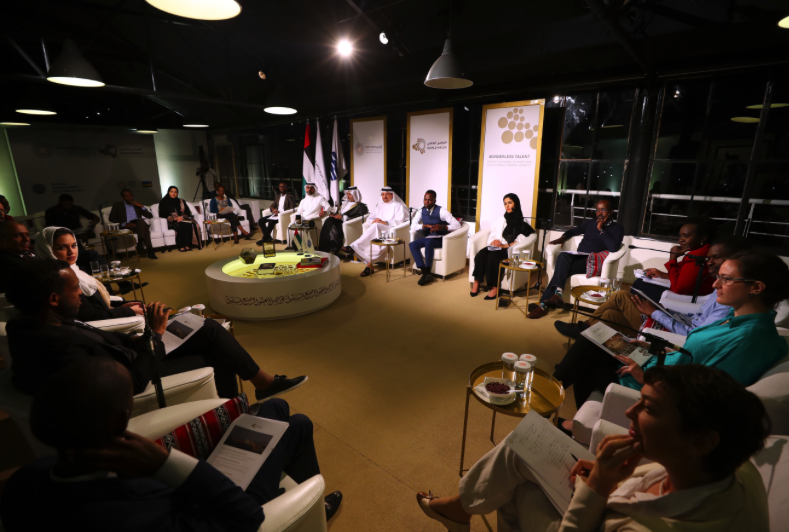 The session, titled ‘Borderless Talent: How do the global economy and local change-makers connect?’, was hosted by Najeeb Mohammed Al-Ali, Executive Director, Dubai Expo 2020 Bureau and moderated by Georgie Ndirangu, from BBC Africa. Participants included Mohammed Dewji, CEO, MeTL; Claudette Irere, Permanent Secretary, Ministry of ICT and Innovation, Rwanda; Amin Gafaranga, CEO, Innovation Village, Kigali; and Dr Shivon Byamukama, Deputy CEO, Babyl Rwanda. Expo 2020’s World Majlis series is designed to address 21st century challenges through the long-established Emirati and Arab tradition of the majlis – a gathering place where people from different backgrounds gain new perspectives by engaging in conversations that matter to their communities. 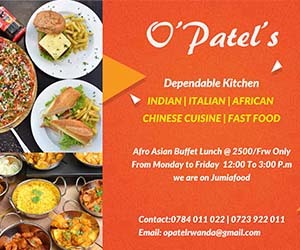 The Rwanda edition delved into the changing nature of how talent is developed and mobilised, and how Africa is playing a leading role in connecting small and large businesses, as well as governments and independent platforms. Henry Umunnakwe, Co-founder, Compound55, said: “For corporates, governments, private sector or SMEs to survive we all need to work in the same environment and we all need to work in a way that’s collaborative because [an SME’s] success is our success, the government’s success, the private sector’s success. The Expo 2020 World Majlis programme chose to host its latest session in Africa in recognition of the entrepreneurs transforming the economic landscape across the continent, and as African nations prepare their pavilions for the next World Expo, which will be the first ever to ensure each country has its own pavilion to showcase its achievements and aspirations. Najeeb Mohammed Al-Ali, Executive Director, Dubai Expo 2020 Bureau, said: “As the first World Expo to take place in the Middle East, Africa and South Asia (MEASA) region, Expo 2020 has the potential to positively influence the world beyond the borders of the UAE, through programmes such as the World Majlis. The previous World Majlis session, which took place in Shanghai and was titled ‘The Future of Cities: World Expos as Experiments in Mega-Change’, saw 25 current and aspiring leaders address the future of urban living, as well as the potential of World Expos to influence long-term development in their host cities and beyond. The World Majlis initiative is an extension of the traditional majlis, designed to provide a space for respectful and inclusive dialogues that invite thought-provoking opinion, incubate meaningful connections between people and new ideas and inspire a positive outlook on the future. Expo 2020 is already supporting creative solutions to reach their potential through its USD 100 million social innovation and partnership programme Expo Live. Contributing to Expo’s social legacy, Expo Live supports innovative projects that are already having a positive impact on society or the environment, or both, while also demonstrating that innovation can come from anywhere to everywhere. A total of 42 Global Innovators from 70 countries have been selected so far, with more to be announced later this year. Many of them are based in Africa, including two in Rwanda – Babyl Rwanda and Nuru Energy. The projects are being supported with funding, business guidance, networking opportunities and media exposure. Expo 2020 also supports the full involvement of SMEs around the world in the delivery of an exceptional World Expo. SME integration will continue to stimulate employment, strengthen industries, improve competitiveness and ultimately contribute to sustainable economic growth well beyond 2020. Expo 2020 Dubai will be held between 20 October, 2020 and 10 April, 2021. It is expected to attract 25 million visits, with 70 per cent of visitors projected to come from outside the UAE – the largest proportion of international visitors in the 167-year history of World Expos. A record 190 countries have confirmed participation, including the majority of African nations. The African Union also will participate for the first time.